New car registrations in August fell 6.4% year-on-year to 76,433, marking the fifth month in a row of decline. The figure is also lower than in 2015, but higher than any of the previous seven years. But registrations of alternatively fuelled vehicles – the collective term for hybrids and electric vehicles – were up 58.3% to 3,968, meaning their share of all new registrations grew from 3.1% last year,to 5.2%. Broken down, petrol hybrid were up 74.9%, pure electric vehicles up 62.5%, and plug-in hybrids up 38.5%. Environment secretary Michael Gove announced in July that the UK would ban the sale of petrol and diesel cars by 2040. 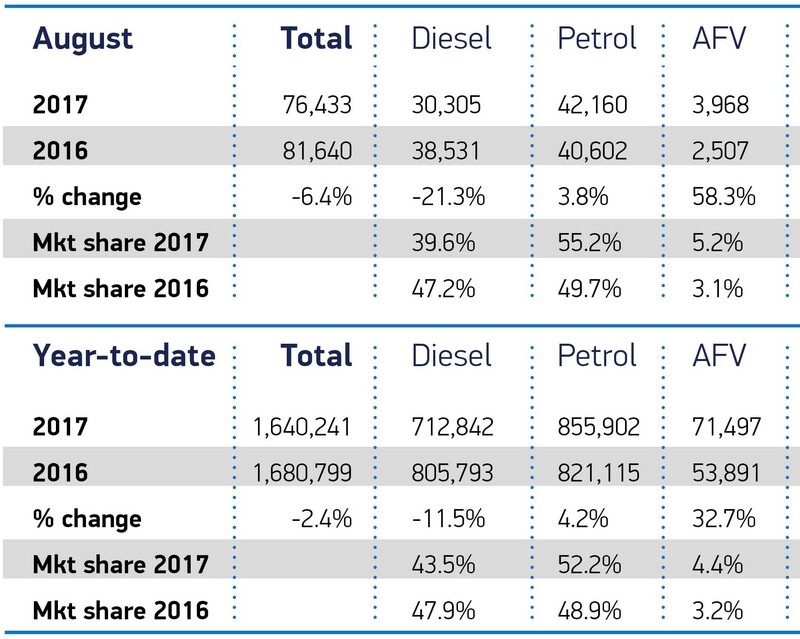 Despite the overall fall in registrations, petrol engines were still up 3.8%, making up for a 21.3% decline in diesel engine registrations. 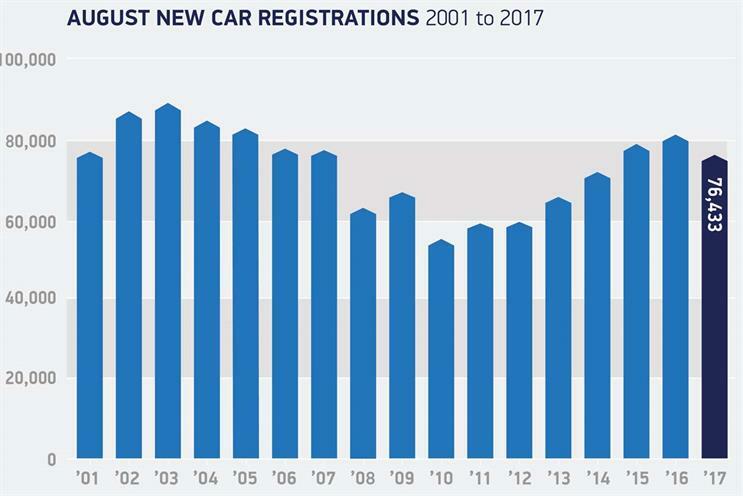 Mike Hawes, chief executive of the Society of Motor Manufacturers and Traders, said: "August is typically a quiet month for the new car market as consumers and businesses delay purchases until the arrival of the new number plate in September. "With the new 67-plate now available and a range of new models in showrooms, we anticipate the continuation of what are historically high levels of demand." Nissan this morning unveiled a new version of its best-selling electric car, the Leaf, with an improved range of 235 miles (378 km) on a single charge, along with a series of other advances in energy efficiency and the driving experience.